Camillies Vita-mealies welcomes NCBS & FBS members to our site! 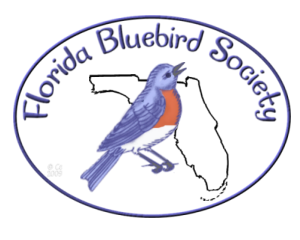 Verified Members of North Carolina Bluebird Society & Florida Bluebird Society are guaranteed a 10% Discount on all Camillies Vita-mealie.com items everyday. The prices on the NCBS/FBS pages have already been discounted for your convenience. If you see anything else on the site, such as different quantities, Beetle Kits, Vita-feed or other mealworm supplies, please go to the "To Contact Us" page and use the link to send us an email requesting an invoice with the discounted price. We want to do everything we can to make sure that you, as a valued customer, are thrilled with our vita-mealies as well as our service, so you keep coming back for more. This ensures that the bluebirds get to continue consuming our vitamin boosted mealworms for their well-being. Once they have been eating our vita-mealies for awhile, you should begin to see a difference in their color, vitality and health! In addition to the 10% Discount, NCBS & FBS members will see a "MONTHLY FEATHURED SPECIAL" just for them!! These specials are an added bonus for members only and our way of saying "Thank you"! Members- Please go to the NCBS/FBS pages by using the drop down list at the top of the page in the orange bar to make your purchases! Thank you for choosing vita-mealies for your bluebirds well-being!